"Hi, I'd like to open a savings account" "Imagine a tribe that, instead of money, traded only in colored stones. Each color, or combination of colors, represented a different value in the trading game..." "Uh...is there someone else I can talk to?" In Philosophical Investigations, Wittgenstein tried to do away with the idea that language represents the world in a straightforward, direct way. In other words, when we use phrases like "put your hands up", there is nothing in the world that is directly picked out. What is actually happening is we are playing a "move" in a sort of game, where we expect the other players to understand and take part in the same game that we are playing. The meanings of sentences are social, not a relation between mind and world. His method of showing this is by giving strange thought experiments and dialogues, where he invites the reader to imagine different sorts of scenarios that break down the idea that words directly map to objects or ideas. 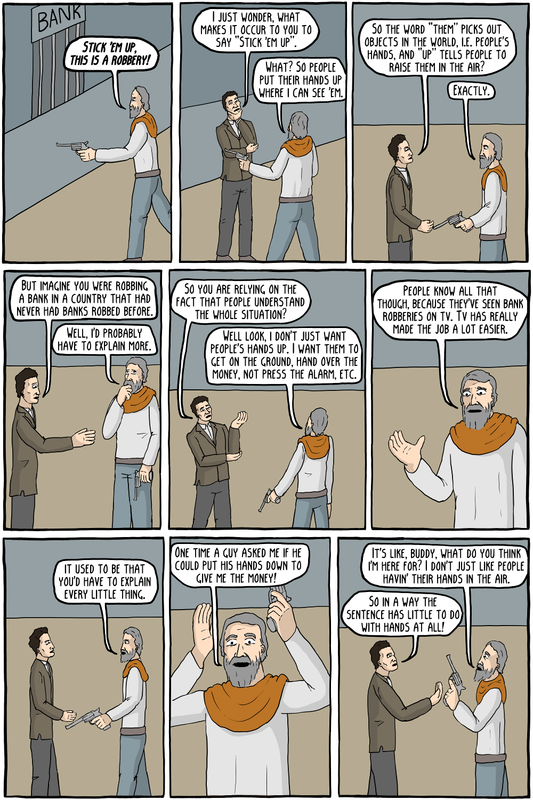 Augustine is playing the bank robber, because his account of language was used by Wittgenstein as representative of the naive view that language is representing a simple relationship between thought and reality. 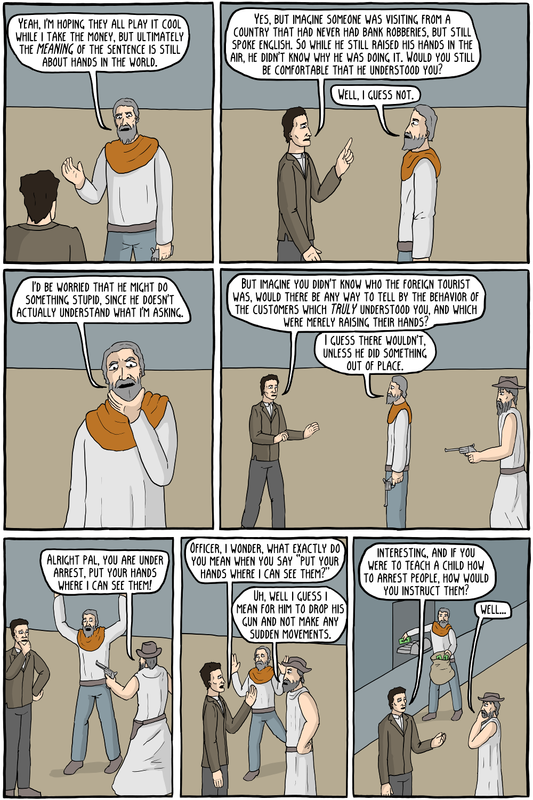 Aristotle is playing the police, because he is the sheriff of philosophy.